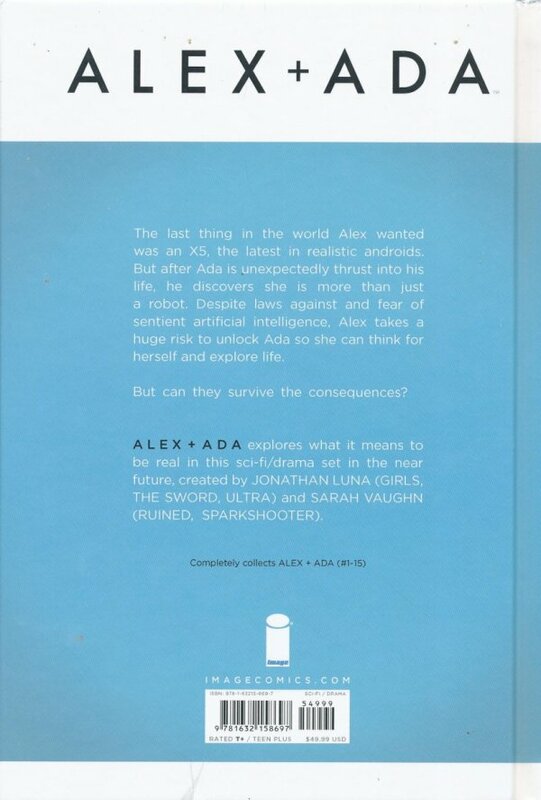 ADVANCE SOLICIT-From JONATHAN LUNA (THE SWORD, GIRLS, Spider-Woman: Origin) and SARAH VAUGHN (Sparkshooter, Ruined) comes ALEX + ADA, a sci-fi drama set in the near future. 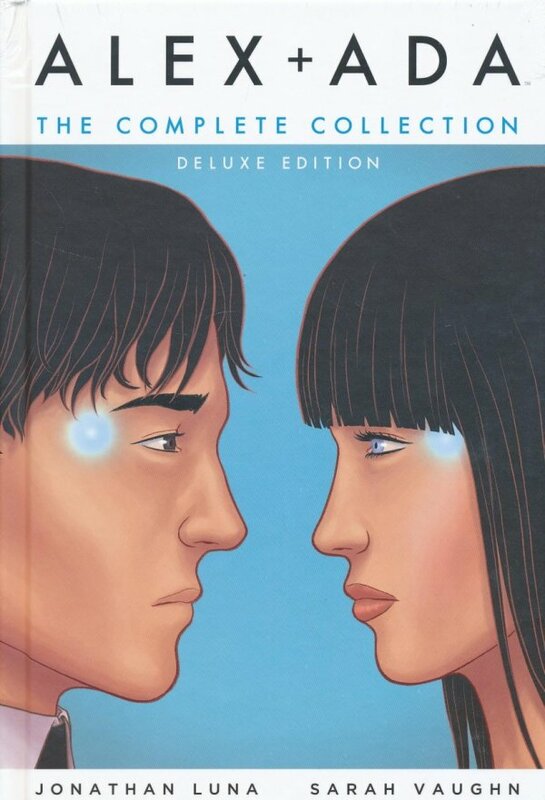 The last thing in the world Alex wanted was an X5, the latest in realistic androids, but after Ada is dropped into his life, he discovers she is more than just a robot and takes a huge risk to unlock Ada so she can think for herself and explore life as a sentient android. Can they survive the consequences? This oversized hardcover collects issues #1-15.